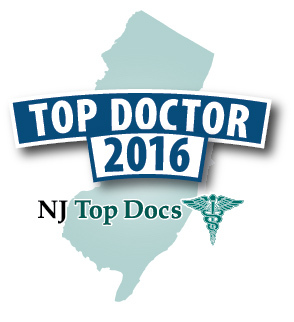 Dr. Jill Hazen has been recognized as an "NJ Top Doc" since 2012. NJ Top Docs presents Dr. Jill Hazen of Hazen Plastic Surgery. Hazen Plastic Surgery is one of the biggest laser centers, if not the biggest in Mercer County and surrounding areas. Dr. Jill Hazen has been recognized as an "NJ Top Doc" since 2012. She is celebrating four years as an "NJ Top Doc." Congrats, Dr. Hazen! Dr. Jill Hazen is a Board Certified Plastic and Reconstructive surgeon, and a Fellow of the American College of Osteopathic Surgeons. Also a member of the American Academy of Cosmetic Surgery and the American Society for Laser Medicine and Surgery, Dr. Hazen has brought her unique skills and engaging personality to practice in the Princeton area since 1995. Dr. Hazen has dedicated her efforts to providing results of only the most supreme quality, persistently motivated to stay abreast of the most advanced techniques in cosmetic surgery for the benefit of her patients. She has lectured extensively over the years on cosmetic plastic surgery as well as post cancer breast reconstruction surgery. Dr. Hazen’s artistic visualization and clinical skills allow her to achieve beautiful, natural-looking results for patients seeking cosmetic and reconstructive plastic surgery. Dr. Hazen’s recognized expertise has been featured in many highly respected publications including The New York Times, and New York Magazine. She received Woman of the Year Award in 2009, the Patient’s Choice Award for 2010, and has been featured in Who’s Who over the last 10 years. 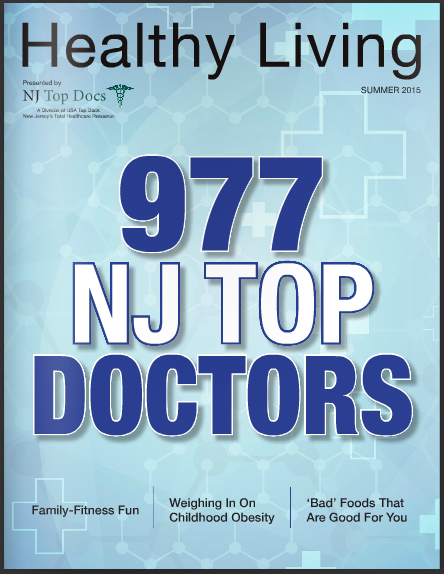 Dr. Hazen has been reviewed and approved as an “NJ Top Doc” each year since 2012 and has been featured in every NJ Top Docs & NJ Top Surgeons issue of the Healthy Living Magazine Series. More recently, Dr. Hazen’s practice was named one of the top Ultherapy practices for 2014 and is also a CoolSculpting Premier practice. During all cosmetic procedures, whether it is face, breasts, or body procedures, Dr. Hazen respects the fine balance between science and aesthetics. Using sound medical technologies with the technique of a seasoned artist, she achieves natural and rejuvenated results. When a patient consults with Dr. Hazen, they will always receive respect and personal attention. Whether a patient lives locally or is travelling from out of state or abroad, Dr. Hazen will listen to their desires and expectations, explain their options, give them recommendations, and an honest professional opinion regarding cosmetic surgery procedures of the face, breasts, or body. Dr. Hazen will provide the best individualized options to suit her patients’ needs, whether it be a subtle or dramatic improvement to their appearance. She is constantly researching new technology in order to serve her patients better and provide options for them (surgical and non-surgical). At Hazen Plastic Surgery and Hazen Aesthetic Skin care and Laser Center, they have a multi-modality approach to helping their patients look their best. For instance, many patients can look 5-10 years younger through a combination of skin care products, light facials, laser peels, Botox® and Juvederm®. Other patients may need a surgical procedure to take away aging skin of the face or eyelids to look rejuvenated. Dr. Hazen will sit with her patients to develop a customized plan to best achieve their personal goals. As technology is constantly changing, patients have so many more options than ten years ago. Dr. Jill Hazen offers many services and treatments, including: Facelifts, Necklifts, Eyelid Surgery and Eyelifts, Brow Lifts, Rhinoplasty, Liposuction, Tummy Tucks, Brachioplasty, Thigh Lifts, Labia Reductions, Cellulite Reduction, Breast Reductions, Breast Lifts & Augumentations, Botox, Dysport, Xeomin, Juvederm, Voluma, Sculptra, Restylane, Fat Injections, Sclerotherapy, Ultherapy, E-Two, Coolsculpting, TruScupt, Exilis, Micro-Needling, Hair Removal, Tattoo Removal, Skin Rejuvenation, Wrinkle Reduction, Brown and Red Spots, Acne Treatments, Rosacea, Melasma, Leg Veins, Hydrafacials, Chemical Peels, and Microdermabrasion, etc. Hazen Plastic Surgery promises to provide all of their patients with the highest satisfaction at a competitive value for their services. They encourage all future patients and current patients to visit their “Before and After” photo gallery on their website at http://www.HazenPlasticSurgery.com. For more information, please visit http://www.NJTopDocs.com.